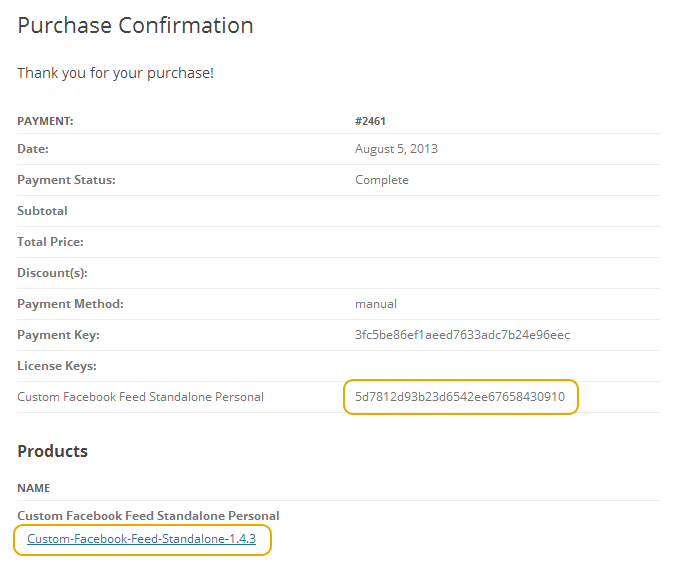 1) Once you’ve purchased the Custom Facebook Feed you’ll be presented with the purchase confirmation screen which displays your license key and a link to download the plugin. This information is also emailed to you at the address which you provided during checkout. 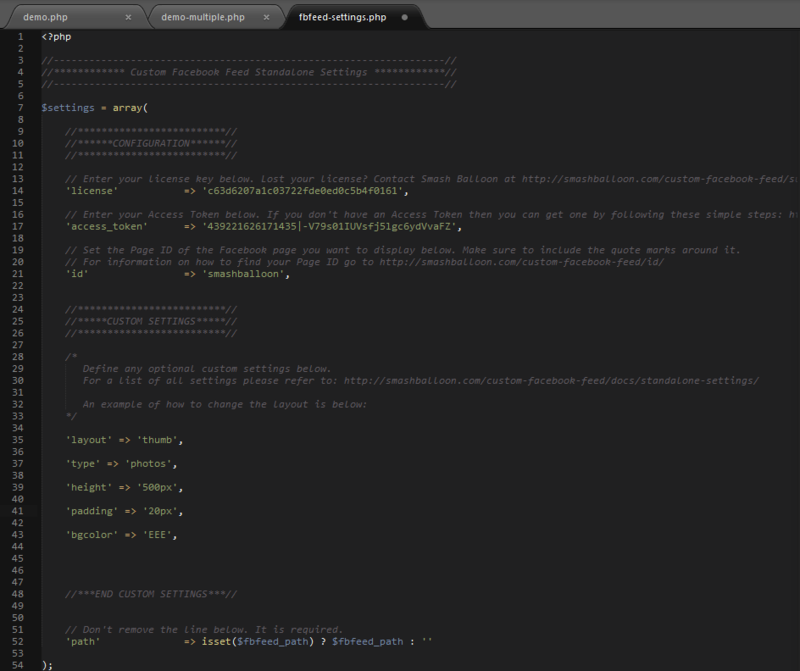 Take note of your license key and click on the download link to download a zip file of the plugin. 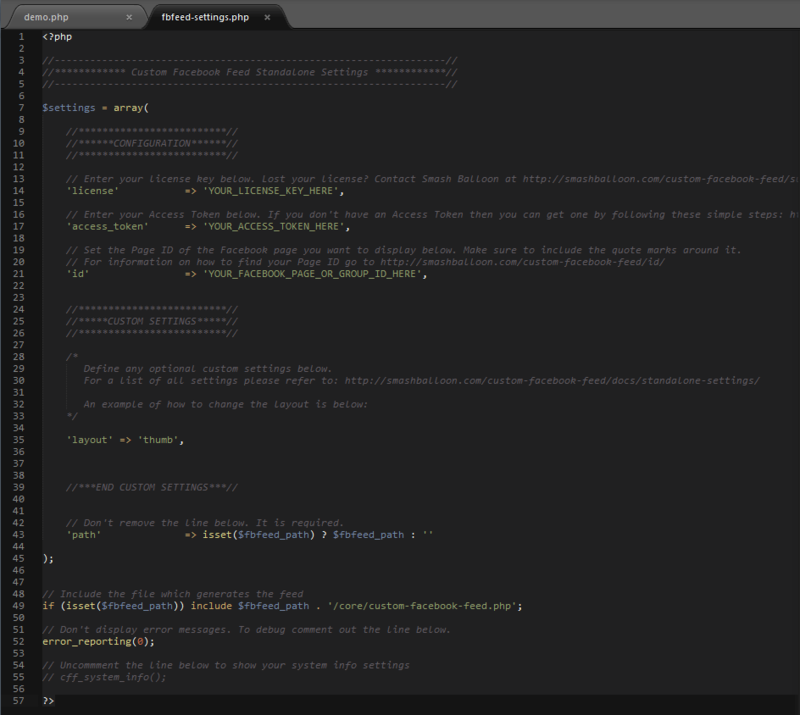 The two main files are demo.php – which contains an example of how to integrate the feed into your website, and fbfeed-settings.php – which is where you will need to enter your License Key, Access Token and Page ID in order for the plugin to work, along with any customization settings you wish to apply. 5) Upload the fbfeed folder and the demo.php file to your web server (either local or remote) and view the demo.php file in your browser to see the feed being displayed. 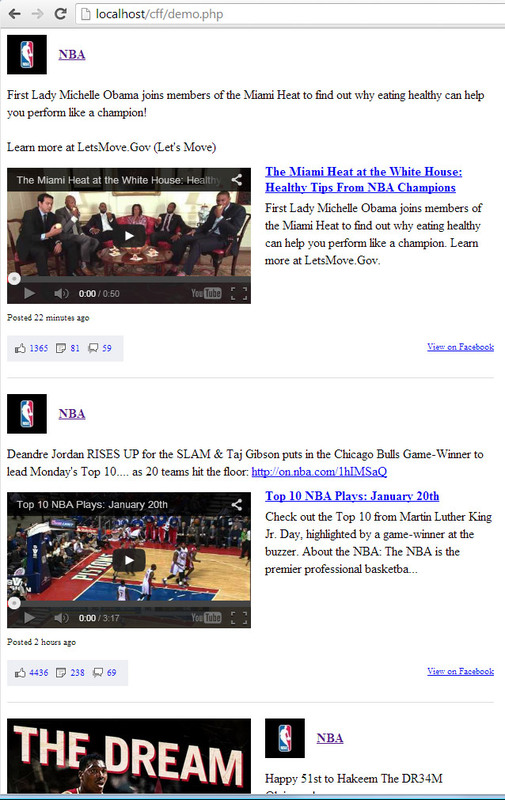 Below is an example of how the default demo page looks using the ‘nba’ Facebook Page ID. 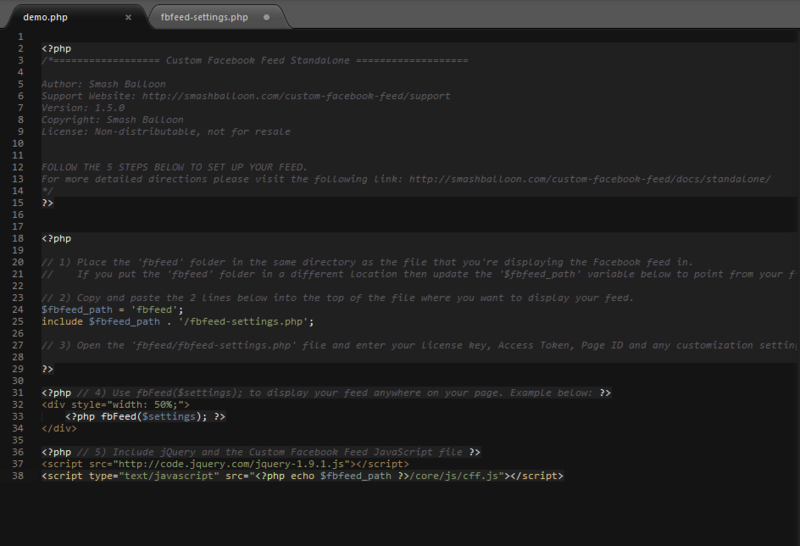 6) You can customize the plugin by adding customization options to the fbfeed-settings.php file. A full list of available customization options is available on the Standalone Settings page. 7) To include the feed in an existing web page then open the demo.php file and follow the instructions within. 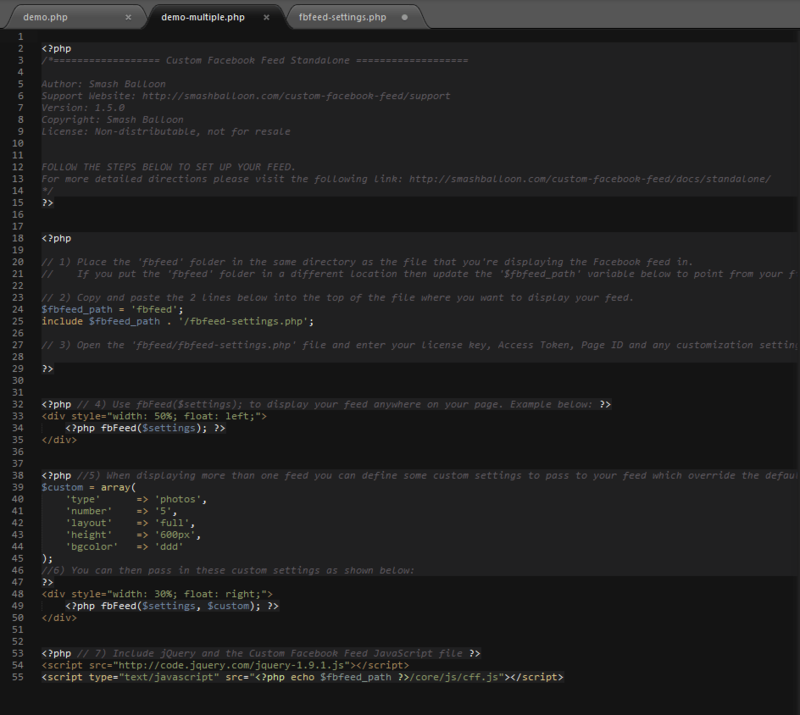 8) To display multiple feeds use the example inside the demo-multiple.php file.